Imagine you’re living your life, everything’s normal until, one day; you come across a pretty significant coincidence. Maybe you moved to a new city and you don’t know anyone and then, one day, you’re at the coffee shop and your old girlfriend from high school comes in. You haven’t seen her or talked to her in years and you didn’t know that she lived in the same city. Imagine it’s a few days later and you’re at the grocery store and you run into her again, this time at the checkout. You might ask yourself why you keep running into her, but you excuse it with the notion that this may be a metaphorically small town. Imagine now that you’re going to work and you see her pass by in her car. Why does this keep happening, you ask? Is she following you? Did she put a tracker on your car? These may seem like over-the-top thoughts, but that’s the closest I can come to describing psychosis. The difference between that situation and living with schizophrenia, though, is that these perceived circumstances happen a lot and you come to some pretty out there conclusions about your perceptions. Maybe it’s just confirmation bias — like when you buy a new car and now you’re seeing that exact make and model everywhere you go. Imagine that this confirmation bias occurs with every song on the radio, it’s talking about an instance in your life, and every commercial or advertisement you see, they’re talking about things you could work on, or it’s happening that you keep seeing the same red hat over and over and over and, in your delusional mind, you think that all these occurrences are connected somehow. In that respect, it can be dangerous to believe that “everything happens for a reason,” no matter how many yoga teachers and gurus are saying it. Before long, you’ve lost yourself in a fog of trying to interconnect all these messages and circumstances, and you come to the conclusion that the government is spying on you and recording you. Not only that, they’re placing these ads — and even your high school girlfriend, and that same car — over and over in front of you, everywhere you look, because this is some sort of Truman Show situation where everything is staged to manipulate and control you. I’ve been there, more times than I’d like to admit. I can remember thinking that the Truman Show was about me, and I’d watch it and cry because the same stuff was happening to me. People were sending me messages or tripping up on their well-orchestrated act of spying on me and doing everything as a production for me. It’s no wonder that I thought I was some kind of prophet. It’s incredibly easy to lose yourself in these thoughts when you’re first experiencing psychosis. You don’t want to believe what these things are telling you, but they happen everyday — almost all the time. 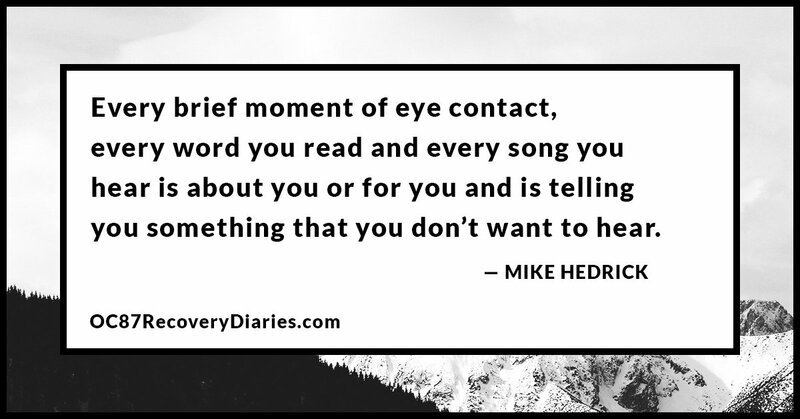 Every brief moment of eye contact, every word you read and every song you hear is about you or for you and is telling you something that you don’t want to hear. I referred to this phenomenon as reading between the lines because, essentially, you’d have to dissect everything to find out how it connected to the greater scheme that you were a prophet and you were tasked with saving the world from its evils. I carried on like this for several months, stopping myself, at first, on Valentine’s Day at the airport and calling my mom and telling her that I was scared. Later, I carried out my mission by going to the U.N. in New York. 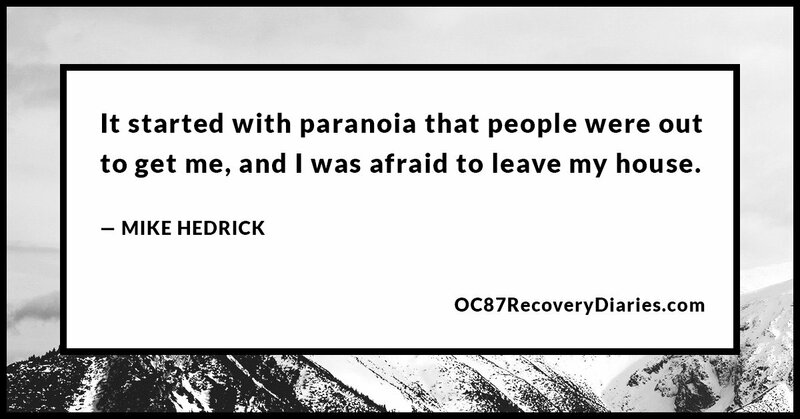 It started with paranoia that people were out to get me, and I was afraid to leave my house. This pretty quickly evolved into delusions that the TV was talking to me and making connections about aliens. I’m still not sure what my reasoning was but it became clear to me that, through these messages, I was supposed to go on a mission to save the world from its evils. I was convinced that, since the government was talking to me, I had to be incredibly important, a prophet or a king of some kind. I rode this delusion for a week as I travelled the Eastern seaboard seeking signs and messages in things that were completely innocuous. The U.N. was just a minor building block in the construction my mind was undertaking. Psychosis is defined as a severe mental disorder in which thought and emotions are so impaired that contact is lost with external reality. Truly, that’s what it is, because in that fog of uncertainty you don’t know what’s real and what isn’t and navigating that alone is not something I’d wish on my worst enemy. 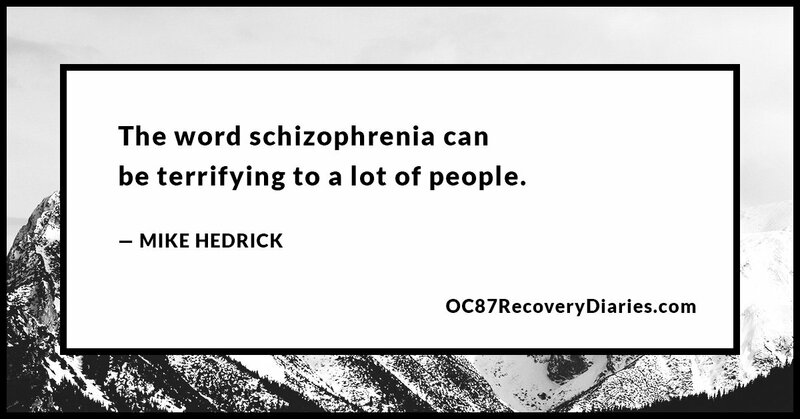 The word schizophrenia can be terrifying to a lot of people but many don’t consider the terror of actually living with the illness. Many times we’re more afraid of our own thoughts than “normal” people are of the label. Living with the constant threat of paranoia, which can easily lead to delusion, which can easily lead to psychosis, given an undue amount of stress, is something that we have to be cognizant of daily in our balance to stay well and to stay stable. 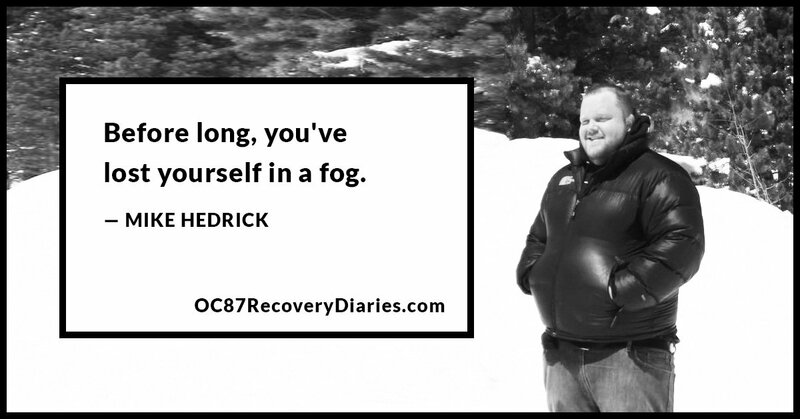 Psychosis can easily take a hold of you when you least suspect it. Last year I got into an online relationship with a woman that got pretty heavy relatively quickly. During that time I got so overwhelmed with the relationship that I couldn’t eat for fear of throwing up and I couldn’t sleep — all I could do was think about this relationship. It was “can’t eat, can’t sleep love” at its worst and, for weeks afterward, I would pull into my apartment complex every day worried that she had taken a plane across the country and was waiting for me to get out of the car so she could surprise me. She had my address because she had sent me something and I was more paranoid than ever about this girl that I didn’t really know invading my carefully regimented life and throwing everything into a tailspin. This sort of thing has happened on several other occasions as well and, while I’d like to believe that I’m a romantic, the idea of relationships that heavy can easily send me into a momentary psychosis. Each time I’ve had to carefully take the time, sometimes while staring at a wall for hours, to distinguish between reality and what was happening in my head. 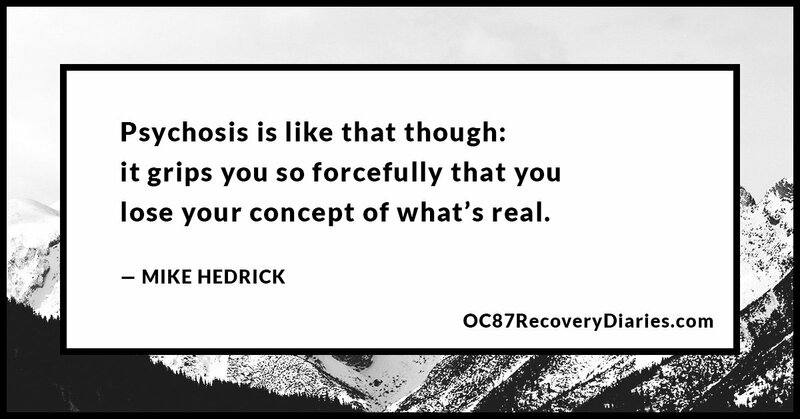 Psychosis is like that though: it grips you so forcefully that you lose your concept of what’s real, what’s rational and you fall into a hole of thinking that someone is out to get you or that someone is spying on you through your computer or the appliances in your house. Once I found a wire in my sink drain and I was convinced it was a microphone. A couple days later a “Bug-B-Gon” truck pulled into my apartment complex and I knew that they were there to take out the microphones. Suffice it to say that it’s a slippery slope between stability and psychosis and one instance can you lead you down the path of no return. Most of the time, reality is pretty boring and innocuous. Usually there are no connections between things and usually there’s not a very good reason for why things happen. 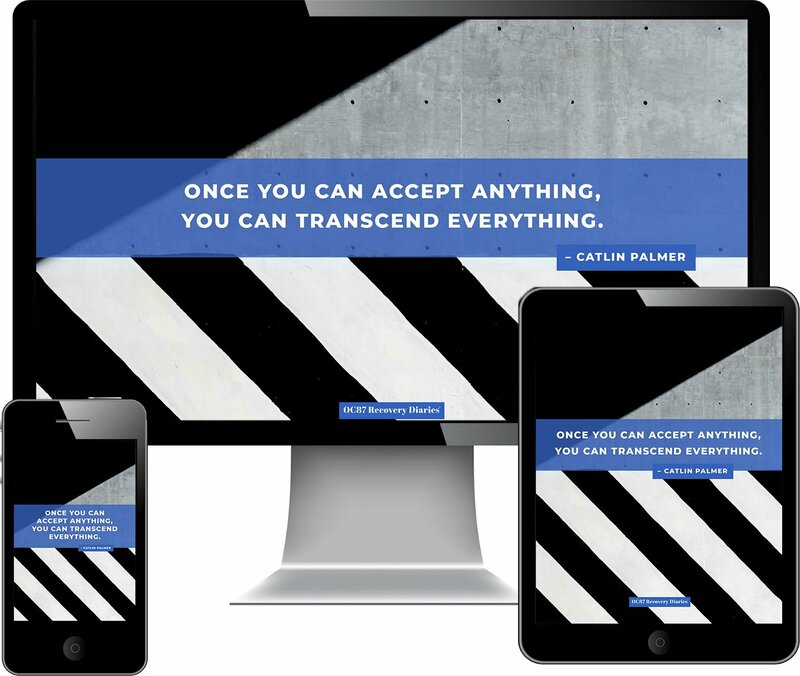 In the last ten years I’ve come to recognize those facts and I’ve come to the point where I’m able to use what I know about reality in my attempts to quell the overwhelming thoughts that careen through my head. It’s a tenuous balance though and I’ve had to work to keep my life as predictable and as routine as possible, partly out of fear that something will throw me off and partly as a preventive measure in countering excitement and the resulting waterfall of thoughts that occur after huge moments. It’s boring, yes, but I’d rather have boring than psychosis. I take my meds faithfully, I go to my doctor and I know when things get to be too much — and that’s when I have to put on the brakes. There are still moments though that I lose it a little bit and, when that happens, I know that I’m prepared because I’ve developed my tools for getting through a crisis with care. 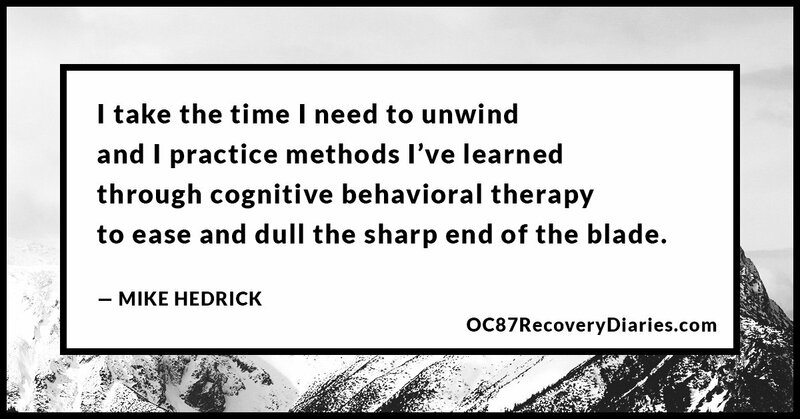 Along with breathing, I take the time I need to unwind and I practice methods I’ve learned through cognitive behavioral therapy to ease and dull the sharp end of the blade. These methods include finding evidence of reality and reframing my thinking when the need arises. I will say this. It’s an experience, living with psychosis. It’s cemented in me a very firm expectation and view of reality that I’ve come to depend on in my most trying times. In that way, these instances of psychosis have helped me learn about reality. They’ve shaped my view of the world and they’ve given me a perspective most lack. Your bad hair day or your sports team losing isn’t that big of a deal. Come to me when you don’t know if reality is real and I’ll have something to talk about with you. It’s a curse for sure, but it’s also a gift and honestly, I don’t know if I would actually choose anything different.